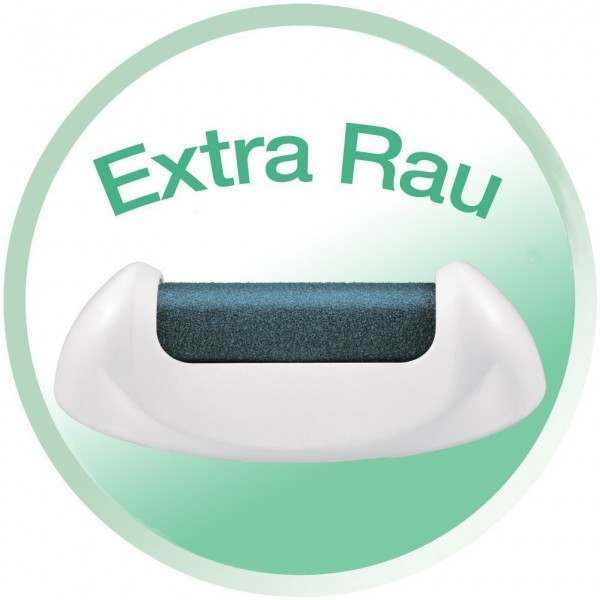 Extra Coarse Roller - Designed to remove even the hardest of skin. It’s great for first time use and especially when summer is about to arrive and you want a little extra help to get your feet prepped. 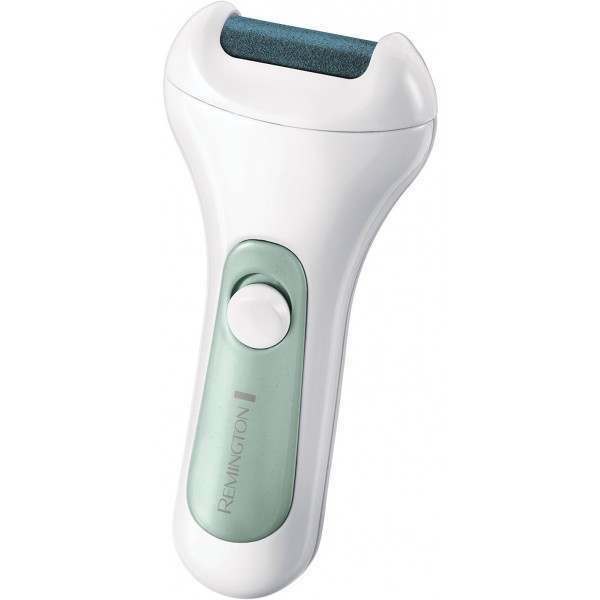 Coarse Roller - Designed with a finer grain, so it’s great for removing and smoothing hard skin. And once you have silky soft feet, you can use it to regularly maintain your results all year round. So whatever the season or occasion, you’ll want to show your fabulous feet to the world. 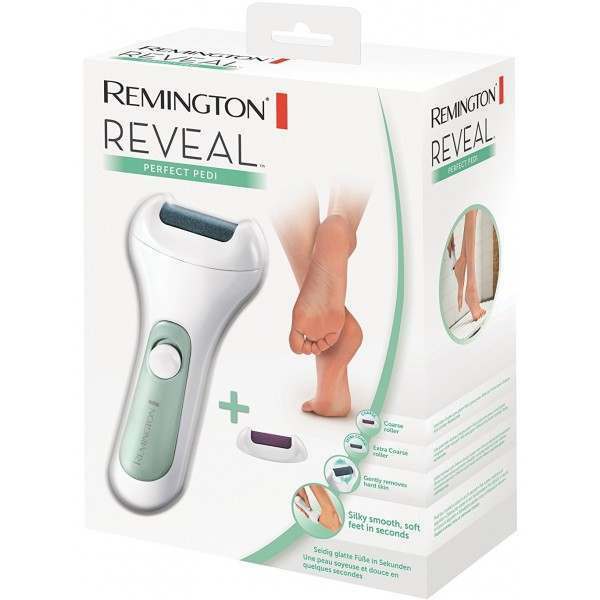 Reveal silky soft feet you won’t want to hide with the Remington REVEAL™ Perfect Pedi. Finally the answer to maintaining satin smooth feet has arrived. The Perfect Pedi is the gentle way to remove hard skin and stay kind to your feet, and doesn’t require painful scraping like some other products. You’ll see visibly smooth results after just one use, meaning you’ll be sandal ready in no time. Sometimes your feet just need a nice gentle buffing, or sometimes it calls for something a little coarser. 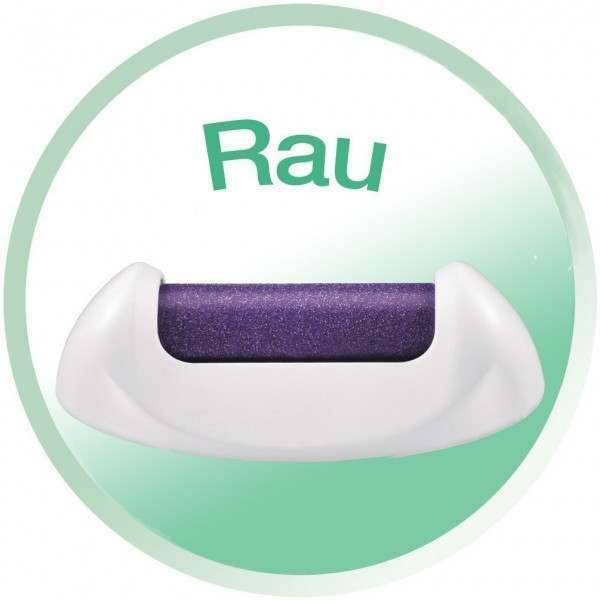 So you can choose from two roller attachments designed to keep your feet silky smooth. The rollers gently glide over the contours of your feet and heels, effortlessly removing unwanted dry and hard skin in seconds. This all combines to create a supple skin base that allows your moisturiser to sink in and work more effectively. All you’ll need is a coat of your favourite nail polish to add the finishing touch.